One you can count on outside, the Poly Patio Side Table is an outdoor essential. 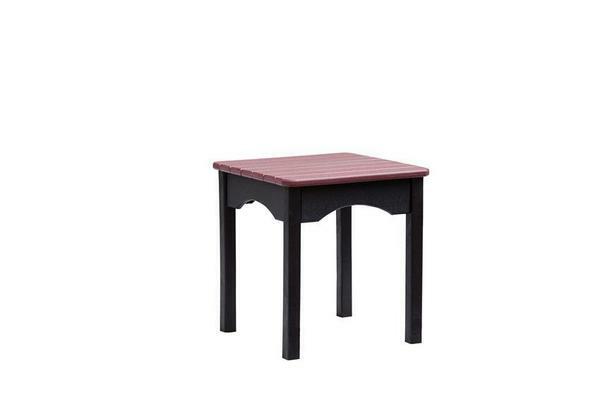 When you need a place to set down your drink, magazine, tablet or phone, this handy outdoor side table is just right. Made of poly lumber that is ultra durable, this table can weather the elements and still go strong. Poly furniture is made of recycled plastic and will not rot, splinter or warp. There's never a concern about termites and very little maintenance is required. Measures 19" high, 18" long and 18" deep and weighs 35 lbs. You can trust DutchCrafters for long lasting, unique, quality made furniture. Email or call us today with any questions. Thanks for shopping with us.